Edward was a supporter of libraries. And he loved his books and periodicals. I have a collection of his Etude magazine that he started in the 1920s and continued to receive during the war and into the early 1950s when the magazine stopped publishing. 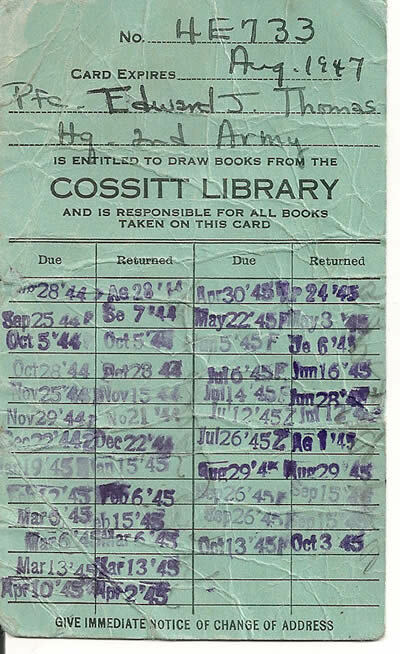 Below is his library card he had while stationed in Memphis.